File extension cdb is used for default contact database format used in Symbian OS mobile phones. Noki is the explorer for Nokia backup files and a utility used to explore and extract Phone book, Text message, MMS, Calendar, Memo, Bookmark and other user files from the backup file of Nokia phone (using Nokia PC Suite). Likely can be imported to Symbian devices or opened using some utilities for Nokia phones. Program called Noki can open .cdb files and convert each individual contact to VCF or CSV format. Programs supporting the exension cdb on the main platforms Windows, Mac, Linux or mobile. Click on the link to get more information about Noki for convert cdb file action. Programs supporting the exension cdb on the main platforms Windows, Mac, Linux or mobile. Click on the link to get more information about listed programs for import cdb file action. Programs supporting the exension cdb on the main platforms Windows, Mac, Linux or mobile. 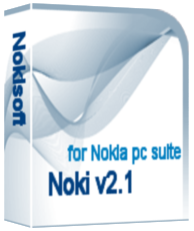 Click on the link to get more information about Nokia Suite for export cdb file action. Click on the software link(s) for more information. Suggested software applications use cdb file type for internal purposes and/or also by different way than common edit or open cdb file actions (eg. to install/execute/support an application itself, to store application or user data, configure program etc. ).